7. Database maintenance e.g. Rebuild Index/Update statistics etc. Let’s see how many activities will reduce if the database is moved to SQL Azure DB. 1. Database Management – we don’t need to add/remove any files. Once the database is moved to Azure we don’t have this option. Database size will be dependent on the performance tier selected. 2. Backup/Restore – It will be managed by Microsoft itself so, this task will reduce. You just need to use the GUI for the restore and get your work done. 3. HADR – You just need to configure HADR options as discussed in my post and rest will be managed by Microsoft. For rest of the activities , the method will change slightly – though logically things will remain the same. If you understand, It’s still SQL server underneath. 4. Database maintenance – The activities like Rebuilding Indexes/update statistics will still need to be managed. These activities will still need to be scheduled regularly. Just remember, there are some restrictions with the T-log consumption. I will come up with a separate post on the limitations which we hit in Azure DB due to some resource constraints. 5. Database Security – It will still need to be managed, though there is a change with the way it used to be managed in on-premise environment. 6. Performance Tuning and Optimization – We will no longer be able to manage SQL configuration using sp_configure or hardware or database files etc. Generally these areas used to be looked at before getting into query tuning. DTUs will become the prime focus when it will come to throughput of IO/CPU etc. Query tuning will remain the same, we still need to look for Index/table scans or implicit conversions or joins etc. in the execution plans. We generally use various tools like Perfmon, Management Data Warehouse , DMVs and activity monitor etc. to see these various resources. 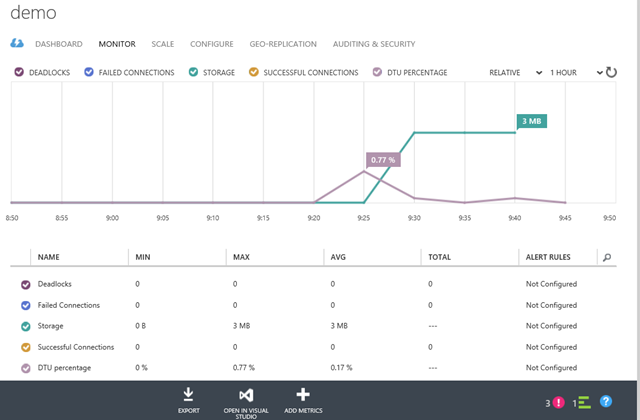 But for Azure DBs, we will have a monitoring Dashboard and DMVs to serve the purpose. The monitoring dashboard is really detailed to help with most of the resources and for delving deeper we will still have the luxury of the DMVs as required. The DMVs related to the features we don’t have or are not required won’t be there. If you want to use PowerShell to see the DB size , check this post. These four counters are really important to understand. I personally think, DTU is little tricky to articulate as a DB professional working on on-premise SQL Server. Instead of thinking about CPU/memory/storage , we just need to focus on the transactions / concurrent connections / Concurrent logins etc. 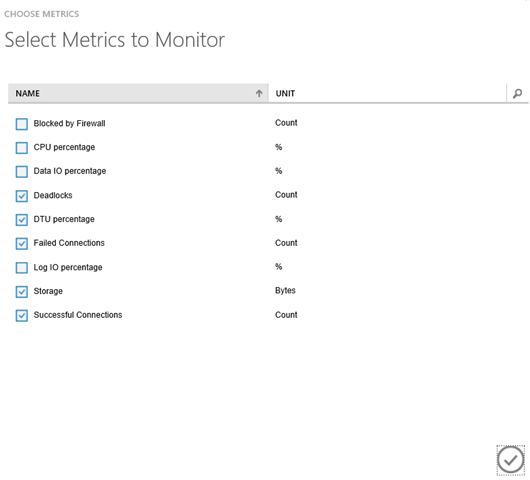 As discussed in the previous posts, Microsoft guarantees to provide the below mentioned metrics in the performance tiers and you just need to move your from how much CPU/disk you need. Instead focus on how much transaction /connections will the application have etc. etc. I will hold PaaS series for now and will move a little bit into IaaS as well. I will write my next post on storage for IaaS.